We have four tablets laying around our house right now, ranging in price from $250-500, using all of the big three operating systems – iOS, Android and Windows. When I think about how we use our tablets most often, I sometimes wonder if those price tags were worth it. For our tech centric family? Probably. But you wouldn’t catch me recommending them to someone like my mom, my friend Molly or my grandma. Like a good number of people out there (maybe you? ), they are simply looking for a tablet to keep them entertained. They want to play Candy Crush, stay up to date on Facebook, watch Netflix on a decent size screen, send email, surf the web or sit back and read a good book. No fingerprint recognition, underwater capable or next generation robotics needed. 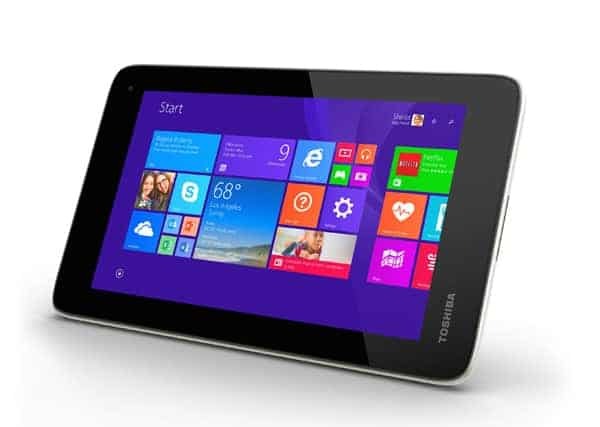 While I wouldn’t recommend going out to purchase the cheapest tablet on the market (BAD IDEA), in this instance, purchasing a solid budget tablet like the Toshiba Encore Mini is the perfect solution. It retails for just over $100 and offers a sturdy construction (no cheap plastic here), user friendly Windows 8.1 and a year of free Office 365 Personal. Pulling the Encore Mini out of the box it feels good in your hands. You don’t really notice it’s size or weight, and for me, that’s a big plus because it doesn’t make me think “man that’s heavy” or “wow that’s some cheap plastic.” To quote what a wise Goldilocks once said, “It feels just right.” The textured backing offers better grip and the tablet isn’t so large that it cant be held with one hand. Also read: Who Will You Add to Your Sprint Framily? Additionally, the start screen is completely customizable! From arranging your live tiles to changing the color and style of the background and accent colors, you can make your tablet scream you. While the Intel Atom Z3735G processor isn’t ideal for a serious gamer or multi-tasking maven, it’s going to get along just fine for web browsing, email, social networking, and casual games. Likewise, the 1GB RAM is going to be just right for the former tasks. Additionally, the Encore Mini offers about 6 hours of battery life which is pretty adequate for a typical day on your tablet. 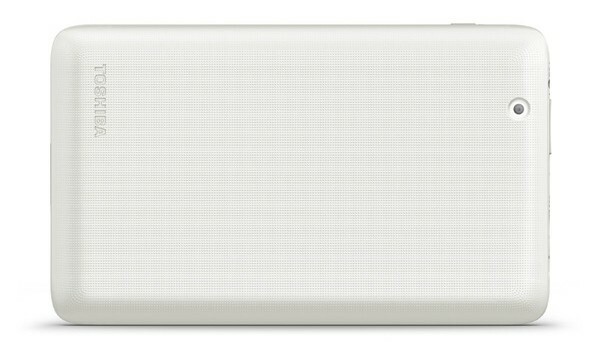 As for storage, the tablet offers about 2GB of usable storage with an expandable Micro SD slot for storing music and videos. Plus, don’t forget about your free Windows OneDrive account that offers another 15GB of free storage. You can share, stream, and surf with Bluetooth and WiFi. Keep in mind that this budget friendly tablet does have some limitations. For instance, the small screen size makes the desktop version of Windows 8.1 difficult to operate, but most people in the “entertainment user” category would never venture into that screen anyway. The 2MP camera won’t blow your mind, but at the end of the day, the Encore Mini won’t give you much else to complain about if you’re looking for a light-weight, 7inch tablet with a decent battery that will let you pass your leisure time. Surf and Sunshine is part of the Microsoft Windows Champions team and was provided product for purposes of this review. All opinions original. We have a simple tablet and it really is all we need. I tend to use the laptop and my son plays games on the tablet. I totally agree. I have bought tablets for $350 and some for $35 and they all have the same features! I have to say, I have a tablet, but I don’t ever use it. I feel like I am always on my phone or my laptop or my desk top. And I just don’t see why I would need to have a tablet too. But this definitely helps! There are so many great uses for tablets. They are great to have. For the price, it’s still a good value I feel. It has drawbacks, but it has pluses too.